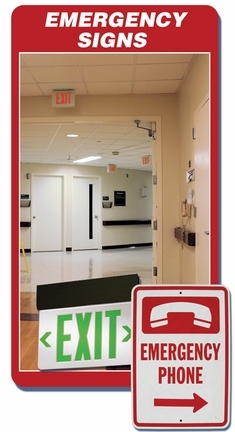 Comprehensive communication and evacuation plans are critical in emergency situations and are required by industry codes. Signs, an integral part of these plans, quickly direct a person into action and can help save a life. With over 35 years in the Emergency Communication Industry, we are 'Code Experts', offering sigange solutions to make sure you comply with the International Building Codes (IBC), National Fire Protection Association (NFPA) and Americans with Disabilities Act (ADA) sign requirements. 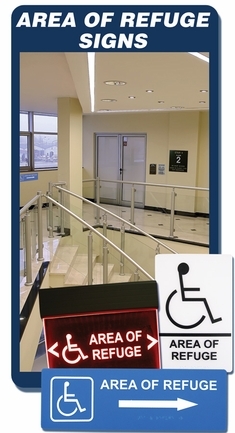 Our signage solutions are of the highest quality and competitive in price. Clear and simple, they ensure that no matter what the situation or emergency, instructions are always understood. Have questions or need something special? Custom signs available upon request. Contact our customer service team at 800-451-1460 for details.